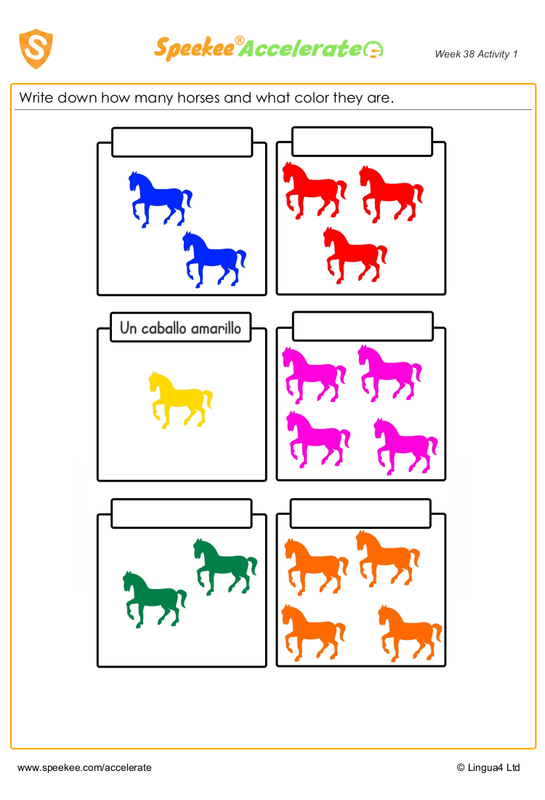 Spanish colors worksheet pdf. What colors are the horses? Write down how many horses and what color they are.